Solving utility problems before they’re problems. LifeWhere flips the HVAC business model from reactive to proactive. launching a new category of care: Connected Home Service. Joe can see machine history, giving him the ability to diagnose problems in the future. Data shows Joe where the machine is failing, so he can bring the right part without wasting time. 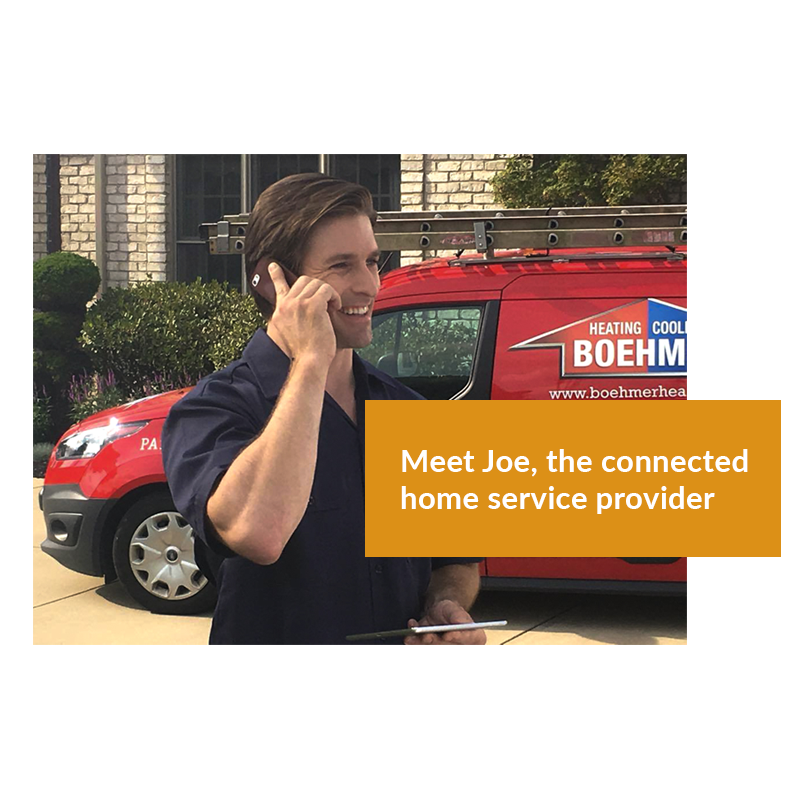 Joe directly reaches out to customers, showing he monitors and cares about potential problems. With LifeWhere, every technician becomes Joe. LifeWhere solves home utility problems before they’re problems.